Hello everyone! 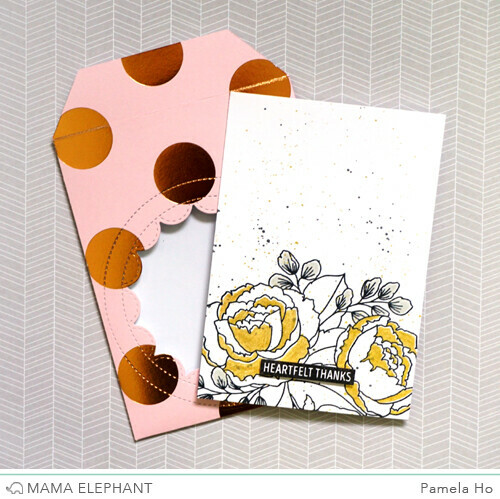 This is Pamela here on Mama Elephant's blog with a project using Organic Blooms and Framed Tag Columbus Circle creative cuts. I wanted to make a very simple one layer card for my mother-in-law for the upcoming Mother's Day and I thought this gorgeous flower would be perfect for her! 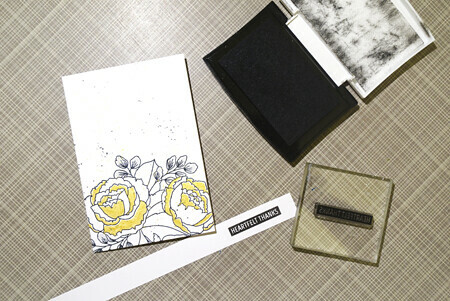 I started by stamping the large flower on the bottom half of the card base in black. 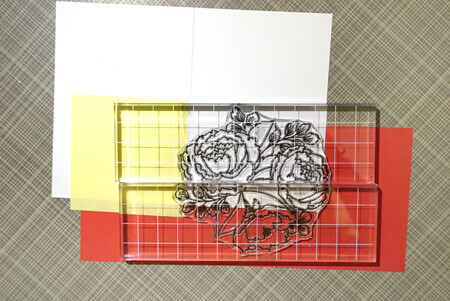 After stamping the flower, I started by applying some ink onto the flower. 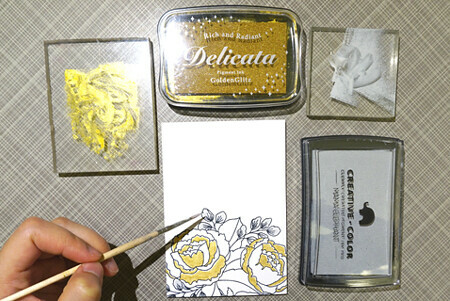 I used Delicata gold for the flower petals and Smoke ink for the smaller leaves. When I coloured each one, I left a white outline for the highlight. 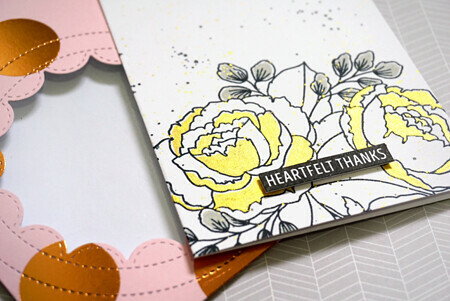 I stamped the "Heartfelt Thanks" from the same stamp set and cut out the sentiment. I adhered the sentiment onto the cardbase with foam tape. Now onto my envelope! I wanted to do a window to showcase the pretty flower cluster so I used the Columbus Circle creative cuts to cut my window panel. To finish off the card, I flicked some gold and black paint onto the card so the top part wouldn't be too empty with that large white space. Here's the completed project! Now I have a pretty envelope to go with my card! Wow! Amazing project!!!! Love it! Wow..Beautifull card n enveope ! It's so cute! Looove it! 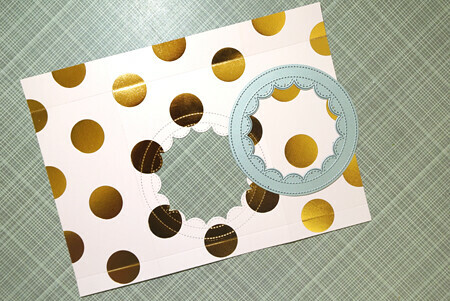 Great beautiful card and envelop!